Are you experienced? – Some agencies center around taking money from clients and that’s it. Others, meanwhile, don’t bother with training their staff or getting everyone licensed. That’s why it’s so important to choose a bondsman who has years of industry experience. The last thing you want is to wind up dealing with an unprofessional and unreliable bail bonds company. In what’s most likely a hectic time for your family, you deserve to work with someone who knows what they’re doing. At ABC Bail Bonds, we have more than 50 years of experience. You can feel comfortable knowing that our agency didn’t just pop out of nowhere. Are you licensed? – This ties in a bit with the aforementioned question. In the state of New York, a professional bail bonds agent must be licensed. That said, some people try to take advantage of those trying to bail out their loved ones and open up an unlawful agency. Don’t risk getting caught up in such a business! If you have any doubt about your local bail bondsman, feel free to check with the state’s licensing agency. How much do you charge? – Bail bonds in New York cost anywhere from 6 to 10 percent. For example, the cost of a bond between $1,000 and $3,000 is 10 percent. Maybe you’re thinking to yourself, “I don’t have that kind of money. What am I going to do?” Rest assured that our team is creative and flexible when it comes to payment. In addition to collateral, we also accept all major credit cards and checks. We even offer easy payment plans. Can I receive a copy of the contract? – You’re about to put down a large sum of money in this transaction. Why wouldn’t you want to double-check the agreement details? Note that the contract should include the type of bail, the length of time that the bail is out, and anything else that would make sense to know about. Do you offer 24/7 assistance? – It’s never a convenient time to get arrested. People make mistakes at any time of day or night. So what good is it for a bail bonds agency to only be open from 9 to 5? As silly as that sounds, some operate according to those hours. You can feel at ease knowing that we provide emergency bail bonds at any time. There’s no communicating with an automated voice message system, either. Our staff is here to help with 24/7 bail bonds, including domestic violence bail bonds and DUI bail bonds. 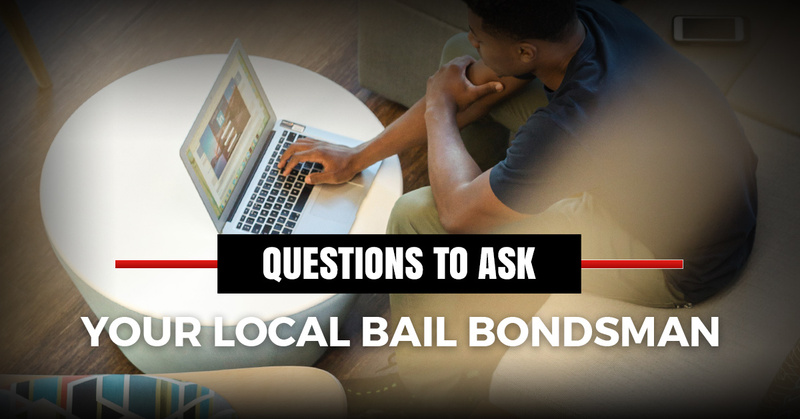 Don’t forget to check out our Frequently Asked Questions page to learn more about bail bonds. Give ABC a call today to begin the process of getting your loved one out of jail.